Overlooking the spectacular valleys in North Wales, Palé Wood Caravan Park in Bala is surrounded by wildlife and natural beauty. 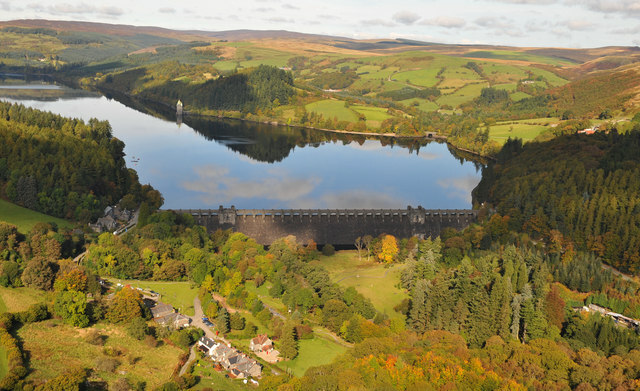 A particular must-see is Lake Vyrnwy, a popular destination for walking, exploring or even a cream tea! The lake is also home to the RSPB who are holding some brilliant events over the next month, perfectly suited to those looking to unwind and take in the surroundings. The RSPB is offering the chance to take advantage of their Binoculars and Telescopes. They will be holding an open weekend where you go and get an up close and detailed view of the wildlife and landscape. The RSPB staff will also be available for any questions or friendly advice! To find out more, please click here. To find out more, please click here. Ever wanted to try your hand at sketching? This is the perfect opportunity to get your creative juices flowing in a very inspiring location. With tutoring from Tereska Shepherd, a Botanical and Entomology painter, you will benefit from her expert guidance. No previous experience is required so whether you’re professional painter or someone who has never picked up a paintbrush, everyone is welcome. To find out more, please click here. Lake Vyrnwy is the perfect place for a Sunday stroll. With a guided tour from the RSPB, you will benefit from experiencing beautiful viewpoints as well as learning about the history of the lake. To find out more, please click here. Price: £5.00 Adults with discounts for RSPB members. In addition to holding events, the lake has multiple nature trails as well as a picnic area, guided walks and viewing points. There is an onsite shop where you can browse a range of books, gifts, binoculars/telescopes and bird food! For the children, there is a play park to explore which features lots of fun obstacles including log balance beams and a double width slide. After a day of taking in the scenery, you can also give your feet a rest with refreshments readily available. Whether you’re on your own, with a partner or out with the family, there is something here for everyone. Image © Copyright RAY JONES and licensed for reuse under this Creative Commons Licence.